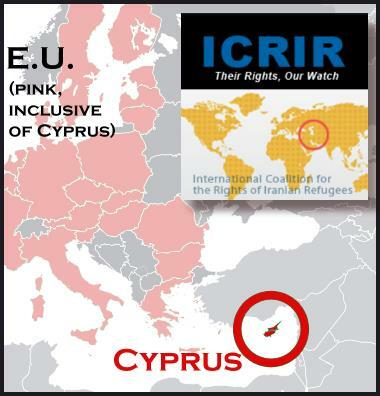 As a result of recent pressure exerted by the Cyprus Refugee Rights Movement, the International Coalition for the Rights of Iranian Refugees, activists in Belgium, CODE e.V., members of the Fahamu Refugee Programme’s list serv, and numerous other individual activists, journalists, and concerned people around the world, the Cypriot government has been forced to begin releasing illegally-detained Iranian asylum-seekers from its prisons and detention centers. Mr. Reza Tabrizi, who had been arrested on the charges of attacking the police, had been in prison for the past 4 years and 2 months. He was detained first in the central prison and then in the detention center. In 2008, he was released but detained again; the police had moved him to a psychiatric hospital. He had told that his problem is not psychiatric, but due to spending many years in prison, he reacts badly to police presence. He had been on hunger strike for 45 days, and his health situation had been neglected. He has been released with a year’s visa. (Mr. Tabrizi’s story has been covered by Deutsche Welle). Mr. Ahmad Zabihi had been imprisoned in the Central Prison for 4 months, and 8 months in the detention center. He also has received a year’s visa and been released. Mr. Iman Rahmati, who had been detained for 7 months in the Central Prison and 22 months in Block 10 of the detention center, was released with a year’s visa. He has been asked to deliver his passport to immigration authorities. Mr. Hassan Bayat had been detained for 45 days in Central Prison on charges that have never been substantiated; he was then moved to Block 10 and held in detention 29 months. He has been released with a year’s visa. Mr. Reza Mousazadeh had been detained for 6 months in the Central Prison and for an additional 21 months in the detention center; he too has been released with a year’s visa. At the same time as the above releases from Nicosia, Nima Homayouni, Ruhollah Hajipour, whose cases were originally processed in Nicosia but had been moved to Larnaca Prison due to overcrowding, have also been released with a year’s visa. They had both been in detention for more than 9 months. We first and foremost warmly congratulate those who have been released. We also congratulate and thank everyone who has worked so hard for this initial victory. We must gather momentum from this first real success and continue to work hard: there are many others remaining in detention, and we will fight for their release too. We will see to it that the government of Cyprus ceases these brutal and inhumane practices against people who have already bled under the brutal repression of the Islamic Republic. And we will demand that all of the governments of the European Union step up to take their share of the responsibility for the current situation of refugees in Cyprus, Greece, and all border countries that shoulder the majority of the asylum-seekers’ cases for the EU. Refugees have rights, and we demand that they be upheld in their entirety.